Today marks the official end of my Palm odyssey. I know I shouldn’t feel nostalgia for a software/hardware platform, but, somehow, it’s not that easy. I suppose we form a kind of emotional connection with our technology. We shouldn’t, I know, but we do. People who love Macs or iPhones really do love them. And they love them for a variety of reasons. But underneath it all, there’s a connection. Beginning in the late 90s, Palm was my system of choice for everything that mattered. I had a Pilot…Seinfeld’s infamous tip calculator. I had a Tungsten, which did everything except make phone calls. Then came the Treo, which is still my favorite smart phone ever, even though it’s clunkier and heavier than anything around today. The follow-on Pre Plus came with WebOS and, for a short while, it looked like it might give Apple and Google some competition. I’m sure the demise of Palm offers a multitude of lessons for business and ministry. Perhaps Palm rested on the laurels of its success for too long, resisting the need to innovate and respond to a changing market. Perhaps the innovation that did occur simply happened too slowly. 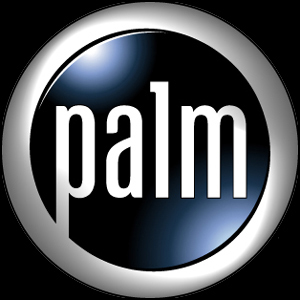 Or maybe Palm made strategic decisions that failed to capitalize on core strengths as its rivals exploded on the scene. That seems to be the lesson of Eastman Kodak, another iconic company struggling to find its way (see Are You Asking the Important Questions?). Whatever the lesson of Palm, I know one thing: it didn’t have to be this way. There was a successful way forward, Palm just didn’t identify what it was. Churches, ministries and businesses face the same quandry every day of their existence. What is the right way forward? What does success look like and what strategy will get us there? What ministry plan (or product) meets the felt needs of our church and community? I was carrying my life around with me long before the iPhone. I had meaningful apps (third-party software add-ons) while that was a distant dream for everybody else. Everything was customizable and the system was open to new software developers. It worked so well for a such a long time, but, in the end, innovation at Palm was stagnate too long. And, as Paul Harvey used to say, you know the rest of the story. I will always have fond memories of Palm, and a healthy does of nostalgia for my Treo….even as I activate my iPhone this morning.